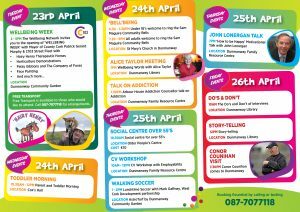 The inaugural Dunmanway Wellbeing Festival, kicks off after Easter and will run from 23rd April to 26th April. The Festival entitled ‘Wellbeing Week’ will host an eclectic line up of predominantly FREE and open to all events across locations in Dunmanway, West Cork. The theme of ‘Wellbeing’ is promoted as fun with events including pop up events, taster sessions, displays, lectures, demonstrations, seminars and workshops. Events take place right across Dunmanway in a variety of venues, indoors and out, including in Dunmanway Library, Dunmanway Family Resource Centre, Cox’s Hall, Dunmanway community Garden and on the streets. Topics presented during festival events are very wide-ranging, anything from Horticulture, parenting, children’s activities and family events, business, art, history, health, sport and much more! The Festival is being presented by the Wellbeing Week Steering Group, which is representative of all numerous stakeholders involved in promoting wellbeing across Dunmanway including Dunmanway Family Resource Centre, National Learning Network, West Cork Mental Health Services and The Wellbeing Network. Wellbeing Week has something for everyone – in the heart of West Cork, whatever your age is and whatever your particular interests may be. WellBeing Week will provide the opportunity for all participants to promote an overall awareness for the various aspects of wellbeing, including social, physical, emotional, financial, career, community and environmental wellbeing. Cork’s Lifelong Learning Festival is an annual event which takes place in across Cork each year in springtime. The festival promotes and celebrates learning of all kinds, across all ages, interests and abilities. The festival’s motto is ‘Investigate, Participate, Celebrate’, and the public can do that by taking part in workshops or classes, watching demonstrations, trying out new skills, and seeing others; from the young to the old, show off what they are learning. During the festival all events are free and accessible to everyone. Learning is promoted as fun with events including performances, debates, taster sessions, tours, displays and demonstrations. These free events take place right across Cork in a variety of venues indoors and out; including libraries, museums, community centres, parks, sports grounds, private businesses and in Corks green spaces. There is no references to illegal substances and / or alcohol. Material is not for personal, political or commercial gain. 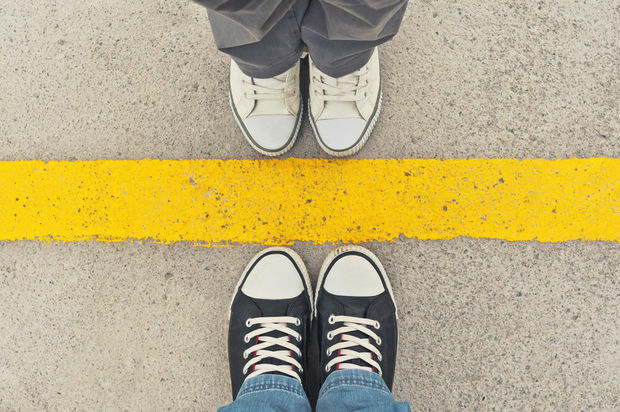 Content has directs links to Wellbeing and / or Community. While every care has been taken in the preparation of the information, due to the nature of the website, the information may not be complete, correct or up to date. Please contact Activity providers for validation of information.